You will need to write a business plan for your startup if you wish to raise some funds. You can easily avail a plethora of templates or formats for a business plan. You will find industry specific recommendations and you may have the hard facts, backed by data, to present in your business plan. None of these would matter if you make some fundamental errors in writing the business plan. Here are ten tips that you should abide by. Your business plan should be written for the specific recipient. You may reach out to a bank, financial institution, private lender, hedge fund manager, venture capitalist, angel investor or perhaps the general public if you wish to explore crowdfunding. An angel investor and a hedge fund manager would have very different objectives of their own. A venture capitalist and a bank do not share the same principles or modus operandi. Come up with a lucid storyline. Do not camouflage the origins, do not hype up the present state of your startup and definitely avoid overselling the future. Have a believable story to tell in your business plan. Else, you may not even get the call for a meeting. Always be pragmatic with the numbers you present. Do not source numbers from out of the blue and avoid any kind of insensible claim. A practical business plan will always be respected, even if investors do not see much reward for themselves. You have to establish yourself and your business as a special case. You must display your understanding of the niche, be it the product or service and the audience or the target market. Your business plan should help your startup emerge as a necessity in a given context. Always include an assessment of risks in your business plan. Investors like entrepreneurs who are aware of the downsides. Most investors, including institutions, do not just fund a startup. They invest in the founder too. If the founder is unable to show that she or he is a person with an astute understand of merits and demerits, risks and rewards, then the business plan will not have the desired effect on the recipients. Always acknowledge the competition in the plan and prove how your startup is superior or different. It is not necessary to showcase how you would completely beat your competition to oblivion. A business plan must shed light on the resources that are necessary in addition to the funding. Investors know every startup needs resources, much more than what it has now. A substantial part of any investment is routed to arrange such resources. Discuss them briefly so you can highlight that you know the path ahead. 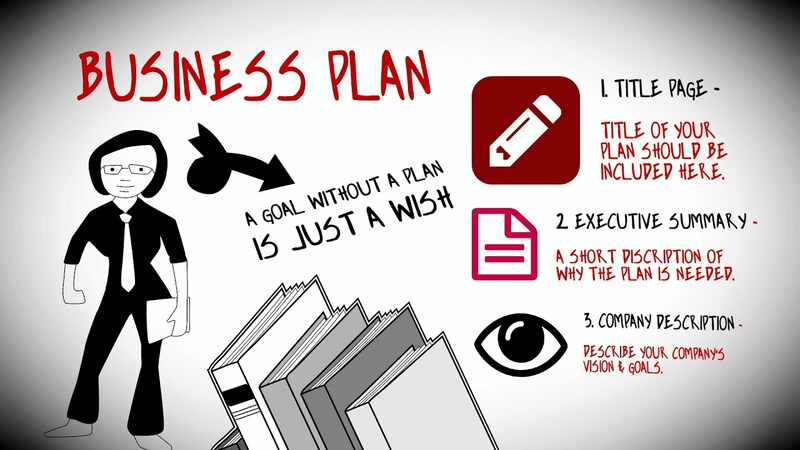 A business plan should be detailed. Broader assumptions and speculative estimates should be avoided. Educated guesswork is acceptable in some cases but ballpark figures are unhelpful. There should be impeccable coherence throughout the business plan. You cannot claim something in one part of the proposal that you would yourself refute, challenge, dismiss or ignore in another section. Keep the focus on the opportunity. An investor will naturally doubt, wonder, question and reject many aspects of your business plan. If the focus is stringently on the potential then the investor will be compelled to think positively. Morris Edwards is a content writer at CompanyRegistrationinSingapore.com.sg, he writes different topics like Reasons Why Your Business Needs a Marketing Plan, Useful Tips for Singapore Business Start Up and all topics related to Singapore Business and Economy. If you are interested about Singapore Company Setup visit our website for more info.